We've got you covered here too! 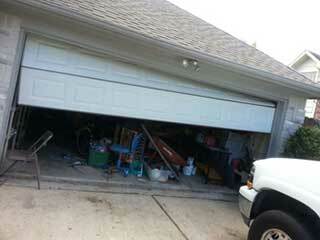 Call now for professional garage door repair & troubleshooting services! Just like your driveway gate can experience various issues over time, your garage door can also encounter some trouble every now and then. The older it gets, the more likely these "encounters" will be, and it's important that you know who to call when a complex problem raises its head. Rest assured that Gate Repair New York will be happy to send a technician over to swat the problem away with his or her wrench. This is the type of problem that definitely merits professional assistance. 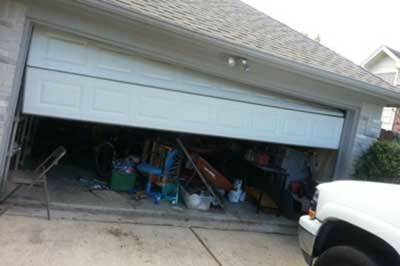 Garage door spring repair is one of the more dangerous tasks involving this system. Unfortunately, it's also one of the most common ones. Springs are under tremendous tension on a daily basis, as they utilize it to generate the force that pulls the door up when you open it. That means that they will eventually end up breaking, with no exceptions. Now, exactly when that happens can vary significantly, but whether you have torsion or extension springs, when you need some help adjusting or replacing one or more of them, don't hesitate to give us a call. This could be the result of a few different issues. The tracks could have bent and are preventing the rollers from moving. Maybe one of the cables got off its drum or got snagged on something. Maybe it's a problem with the opener, either with its mechanical parts or its internal electrical components. Who knows? Oh wait, we do! With over a decade of troubleshooting experience under our belt, rest assured that your problem will be quickly identified and solved. Whether you live just five minutes away or an hour's drive, rest assured that whatever problem is inflicting your door will be quickly and efficiently solved. Gate Repair New York is here to provide expert assistance to all nearby homeowners, and stops at nothing to achieve the best possible results every time. Contact us today via our service hotline or by using our online system to book a service appointment.